Does Tina Turner’s classic song, ‘What’s Love Got To Do With It?’ remind you of a time when you felt a little blue? (Pun intended). Color is not only something people see, but invokes certain feelings, as well. 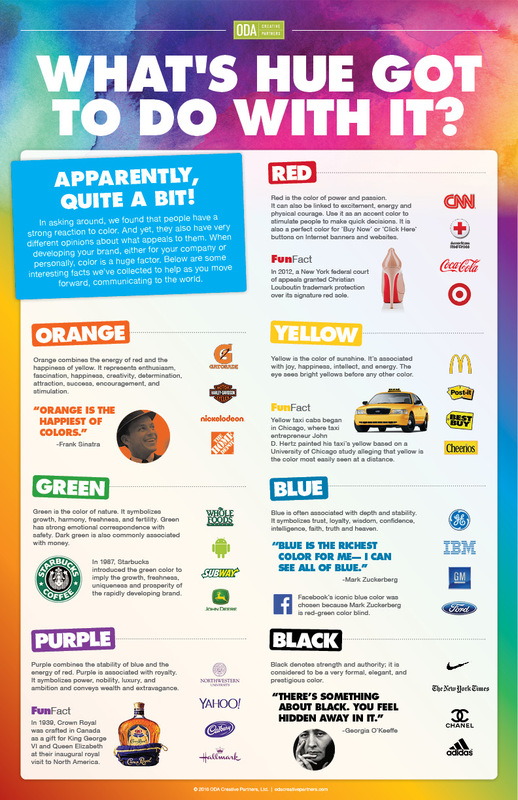 After a little research, we found oodles of studies about why particular colors make us feel certain emotions. Below is an infographic with our findings, developed as a poster you can print by clicking on the image. In summary, hue has everything to do it!